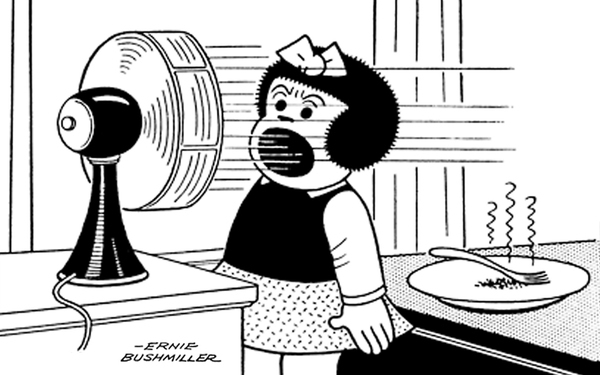 Nancy: I'm mad at Sluggo and those signs will keep him from visiting me. Signs read: KEEP OFF THE GRASS. WET CEMENT KEEP OFF. KEEP OFF THE GRASS.